Your stylist will help prune your wardrobe, organize, and display your garments. Even styling new looks from clothes you already own. Your stylist will find essential pieces missing from your wardrobe & those seasonal must-haves to keep your looks on point. 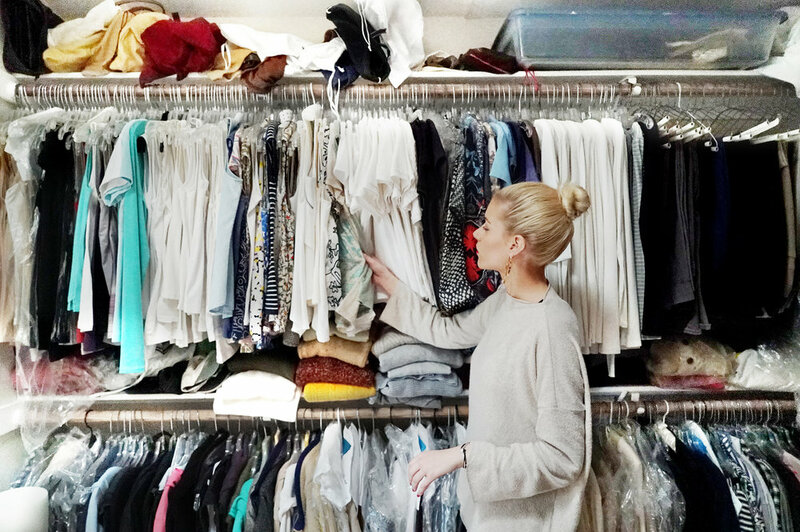 Stylist will assess each item in your closet. And determine what should be kept, donated, or sold. You can be present for this or attend to your busy schedule. Then follows the organization. By color and category. Voila! A perfectly organized closet. Your stylist doesn’t stop there. Your stylist then will source pieces online to finish looks you already own. As well as making outfits from your own wardrobe for you busy work week ahead.